A second person has been charged with murder following the death of a man whose body was found in a car park. 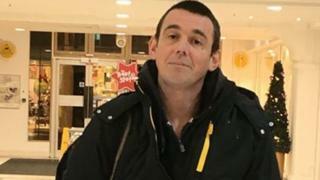 Local man Giles Metcalfe, 43, was found at a stairway on the first floor of the Torrington Road car park in Tunbridge Wells. Kent, early last Tuesday. James Marshall-Gunn, 29, of Hadlow Road, Tonbridge is due before Medway Magistrates' Court later. Dean Lewis, 34, of no fixed address, appeared in court last week charged with Mr Metcalfe's murder. Provisional post-mortem examination results indicate Mr Metcalfe died as a result of the effects of a fire, police said.